This is a box of 6 cute cruise ship magnets made of wood on cardboard that turns into a stand up frame. These measure 2.75 inches high and 2.75 inches wide not including the card, just the magnet. These cute magnets are created by Weddingstar for Beau-Coup. 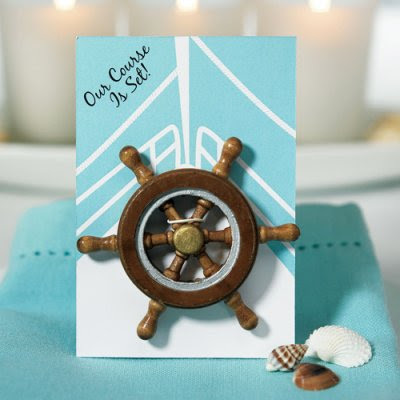 Each adorable magnet makes a great addition to weddings, as gifts for any Marine themed party or even to decorate metal surfaces. Even a retired Marine, cruise ship captain or even the marine life lovers enthusiast will love these. These are great for wedding parties or even rehearsal dinner favors.